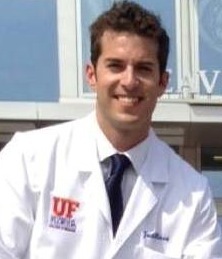 "Brain Surgery Live: a medical miracle the public deserved to see"
Justin Rossi is an MD – PhD candidate in the Department of Neuroscience at the University of Florida College of Medicine. His research is focused on the neurophysiology of non-motor symptoms of Parkinson’s disease. He is mentored by Dr Michael Okun whose book on breakthrough therapies includes a chapter on deep brain stimulation. 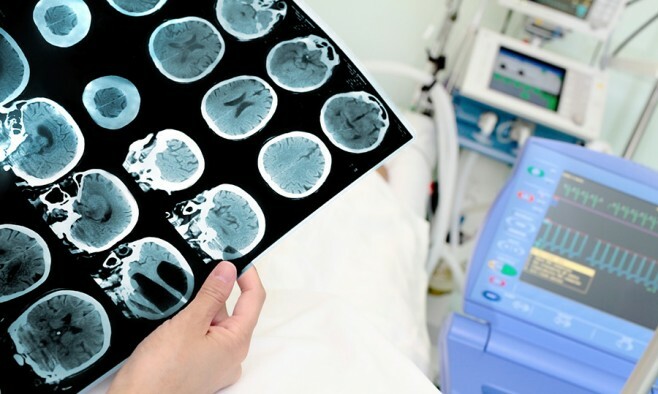 Two weeks ago, 49-year-old Greg Grindley, a retired electrician, underwent deep brain stimulation (DBS) surgery in an attempt to treat his Parkinson’s disease at University Hospitals Case Medical Center in Cleveland, Ohio. Grindley’s otherwise unremarkable case made national headlines as the first DBS procedure to be broadcast live on US television. Both the operation and the broadcast were successes. Mr Grindley experienced relief from his tremor for the first time in 10 years, and nearly 2.5 million viewers tuned in to watch. When I learned about the live broadcast, I was thrilled. For me, it represented the unveiling of a modern medical miracle that the public deserved to see firsthand. As a medical student, observing a case like Mr Grindley’s inspired me to temporarily pause my medical training to get a PhD conducting research in the DBS field. I was astounded when I witnessed the patient’s debilitating Parkinsonian tremor evaporate before my eyes. In the 60+ cases I’ve seen since then, the feeling of awe has not diminished. So naturally I was pleased that the broader public could finally get a window into this incredible therapy. But not everyone was comfortable with the decision to show the procedure live to a national audience across the US. Some questioned whether the filming was exploitative of the patient and whether it violated what ought to be the physician’s guiding principal: acting in the patient’s best interest. Duke Cameron, a cardiac surgeon from Johns Hopkins who has written guidelines for live surgeries, was particularly critical, suggesting that the event did not take patient safety seriously. My impression was rather the opposite. I was struck with the remarkable level of consideration the team gave to maintaining a ‘normal’ operating environment. For one, it certainly seemed that the presence of non-essential personnel in the operating room was limited. Also, having all questions directed to Mr Grindley relayed through the surgeon, Dr Jonathan Miller, maintained the normal communication channels. Dr Miller also conversed with host Bryant Gumbel throughout the procedure, via microphone. Some questioned whether the surgeon could be distracted while being interviewed during an operation. It may not be out of the realm of possibility, but I think misses the reality of the DBS operating room as I’ve seen it. Surgeons, especially those at academic medical centres, are accustomed to answering questions about the procedure they are engaged in. It is not unusual for the surgeon to communicate with medical students, surgical residents, and – in the case of awake DBS surgery – the patient. These conversations are rarely essential to the conduct of the procedure per se, but they are critical to medical education and patient comfort. From my point of view, the questions posed by Mr Gumbel were no more distracting than the typical questions a surgeon answers in a routine DBS procedure. What we did not see in this live broadcast was the surgeon having to deal with an unexpected adverse event. By all accounts, Mr Grindley’s case did not appear to be high risk, making him, in my opinion, an appropriate candidate for a live broadcast. Of course, even in lower risk cases the procedure may not go as planned, and there should be protocols in place to ensure that any broadcast-related concerns take a backseat to the patient’s needs and the demands of the situation. I am not aware of any such protocols for this particular live broadcast. But I’d be surprised if they were not in place. Perhaps this is something that should be made more transparent, if only to allay the concerns of viewers and to open up the conversation so that best practices can be discussed among medical professionals and decided upon. But I also think patients, viewers, and healthcare professionals who have not had exposure to the professional recording of a medical procedure should be aware of the considerable time and energy that goes into prepping a team for this kind of event. Last year, our group at the University of Florida hosted Sanjay Gupta and his production crew from Vital Signs to record an episode on experimental DBS for Tourette syndrome. While this was not a ‘live’ broadcast, I can only imagine the production was similar in most respects. The production team spent two full days prior to the surgery getting briefed on the surgery and related protocols, planning scenes and scouting shots, and de-conflicting issues prior to actual filming. We, of course, had the additional benefit that Dr Gupta was himself a surgeon, which meant he was exceptionally well suited to interface with the surgical team. So why not just default to pre-recorded programming? The fact is that viewers prefer live events to pre-recorded footage. We’ve known this for a while (decades at least), but the new digital landscape is fueling this preference even more. Viewers now have the ability to participate in on-going events through social media platforms such as Twitter and Facebook. And as a result, viewers now place more value on the collective experience of being moved, inspired, and educated by events they share in real-time with a global audience. To be ‘trending’ on Twitter is a time-sensitive phenomenon, and it affects how much attention an event generates. In the last hour of the broadcast, for example, #BrainSurgeryLive was the third most popular hashtag in the US. The popularity of live broadcasting is, for the foreseeable future, a fixture of the digital media landscape and the new digital culture. Abandoning this form of communication with the public will mean far less exposure for medical advances such as DBS. If we want to get new minds excited about this field, opening up this world is essential. I know personally how much seeing these medical marvels can mean to young people who are considering a path in medicine, healthcare, or medical research. Somewhere out there are the doctors, scientists, and engineers who are going to develop the next generation of DBS treatments. The sooner we pique their interest, the better. In addition, DBS is a ‘win’ for modern medicine. With all the negativity out there about our healthcare system and the devastation that chronic diseases wreak on our loved ones and neighbours, the public should know about the ‘wins’ we are having in the trenches. And there are even more ‘wins’ out there waiting to be had! The field of DBS is bursting with ideas and innovations. But it is also suffering from funding and regulatory challenges. Generating public support to get these issues addressed is crucial to the future of DBS. The live broadcast of DBS could have a big impact on rallying the troops to this important cause. There is no doubt that in this endeavour, patient safety absolutely and unequivocally must be the priority. Any filming must be designed and implemented with this goal at the forefront of our minds. That said, I think this goal is achievable. And it is worth dedicating ourselves to it. With live surgical broadcasting, we have the opportunity to raise awareness, educate patients and families, and inspire the next generation of researchers and surgical teams. We owe it to the Parkinson’s community of today and tomorrow to try to make these things happen.